Very Very Vicky: Getting a Good Grade! The Coral Cottage is all gorgeous-ed up but it is like a shiny jewel that needs a beautiful setting. I hired a landscape architect from Griffin Landscape Design and Contracting. He just happens to be my brother, Bill Griffin. 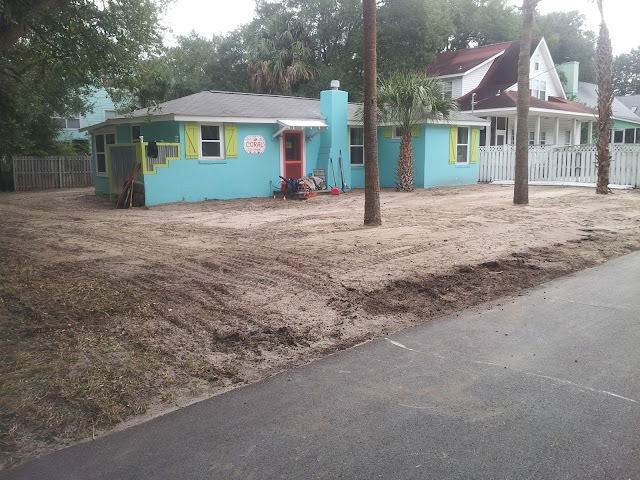 This is the yard (and the house) BEFORE anything was done. 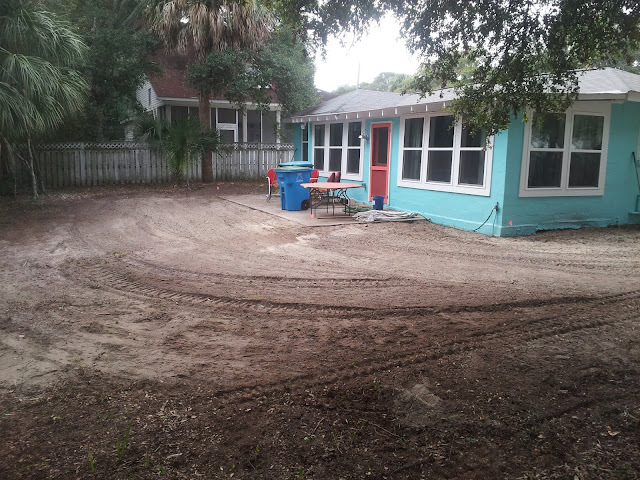 Front yard--the sand is very deep and the front walkway is cracked-up cement. fairly large for a lot at the beach. 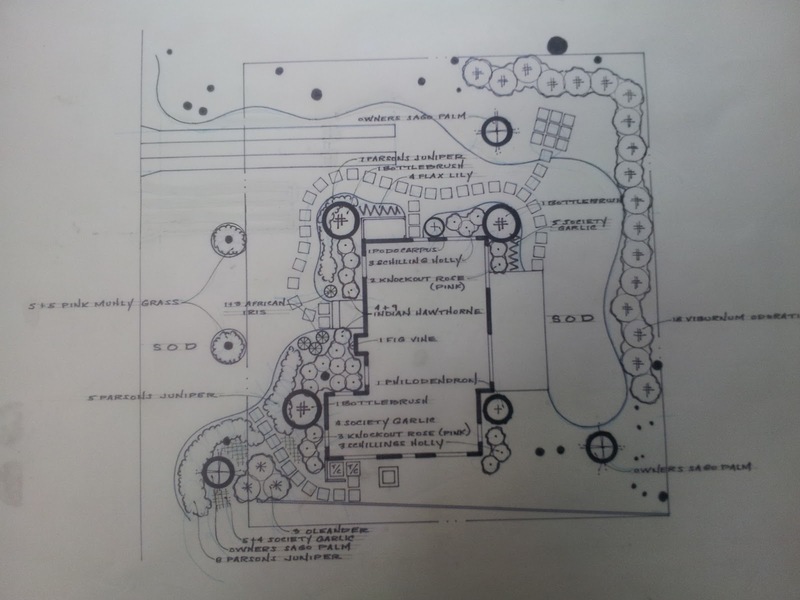 After measuring and evaluating the property, Bill gave me a plan showing the beds, walkways, and plant material he recommended. 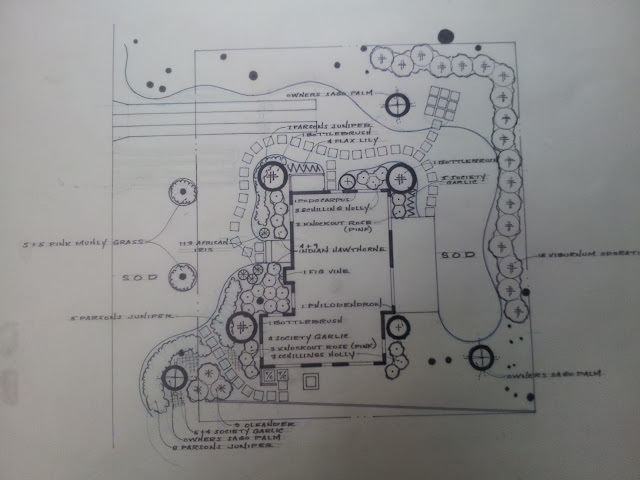 You can see the three palms we planted in the front yard drawn in on the left side of the paper. One thing Bill noted was that the lot sloped so that water ran off in the direction of the house--not a good thing. He planned to correct this problem so drainage would flow away from the house. I'm so grateful for his expertise--this is something I would not have realized until there was a problem. 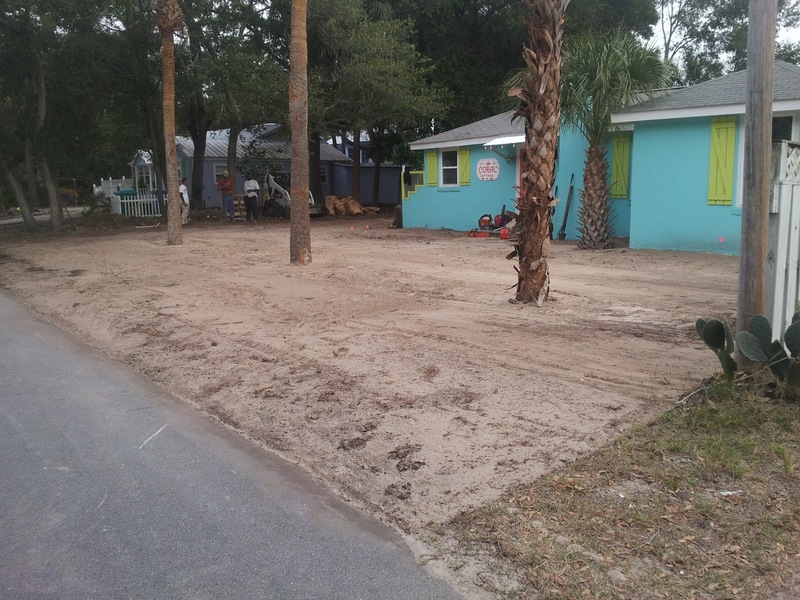 Here are photos of the yard after grading was done. As you can see, we opted to take down the shed. Good beginning--check back for how it all turns out!